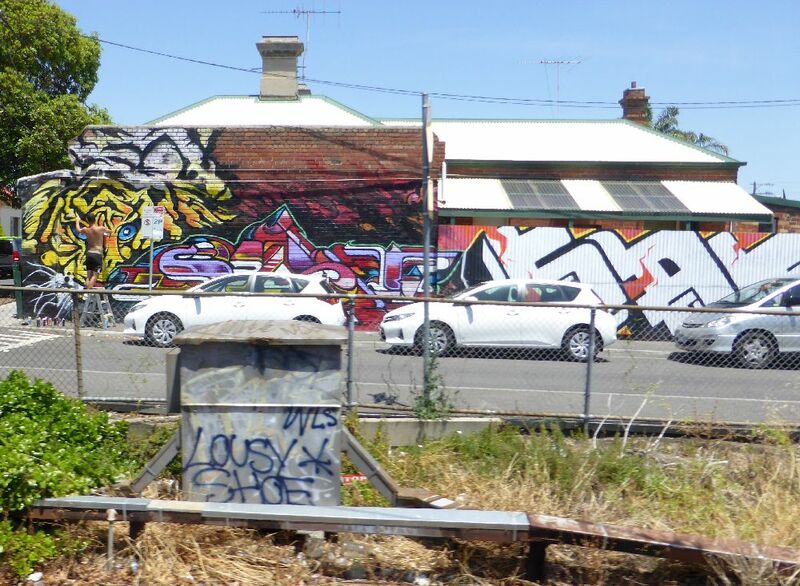 With the growing popularity of Street Art, I was interested to see at Wonderwalls in Port Adelaide this year, a group of writers working on a wall next to a Street Artist*. The Street Artist listed her own name on the official program, and the others worked under a crew name, for obvious reasons, to stay incognito. This defining difference between the establishment and the newcomer, made me reflect on art in general, and the opening up of avenues for displaying and expressing art. Our Art Gallery of South Australia is under the direction of Nick Mitzevich, who is happy to show colonial art next to Aboriginal/First Nations cultural objects. 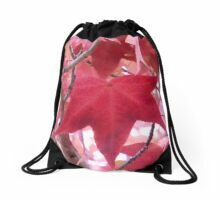 He follows that theme around the gallery, mixing together works that would usually be seen as opposing, as having something significant in common. As we don’t have a formal contemporary art building (yet), Mitzevich treats our gallery as contemporary art meets the art history of the world, including representation from our Asian neighbours. This is a challenging and exciting way of displaying art, and keeps the gallery relevant culturally and geographically. It also makes the gallery an inspiring place to visit, as we see the old collection in a new way and the new work in the context of the old. After spending some years now admiring and participating in street art, I feel the pristine white walls of a gallery space that shut out history, noise, and windows to the outside world, are both restricting and old in the limited atmosphere and lack of authenticity in the space. The artist is responsible for creating these things, which can come across as contrived and like a static museum display. When operating exclusively in a gallery setting, an artist can begin to take this for granted, and I think that impacts on the relevance of art in the real world. Artist Alfredo Jaar says to imagine the world we want to live in, meaning to use art to push us towards that world. 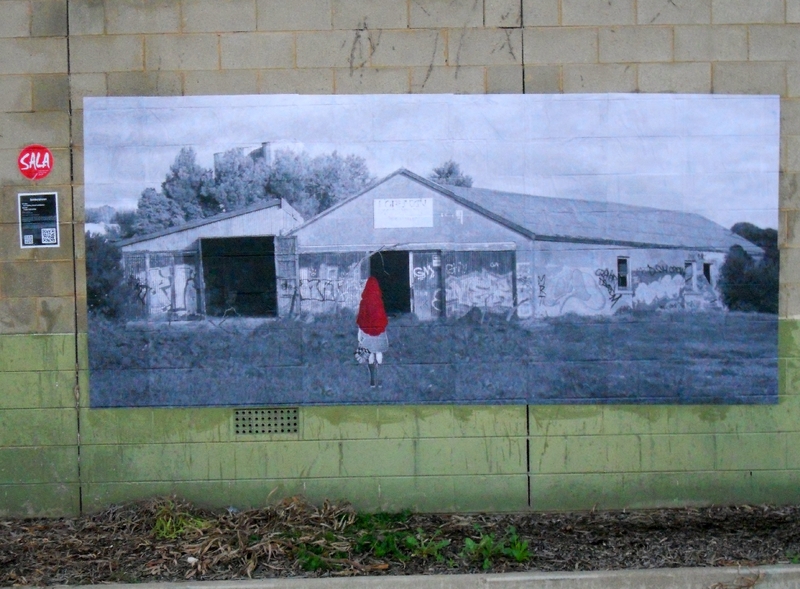 The beauty of street art is that it goes to the people, the people don’t have to seek it out. 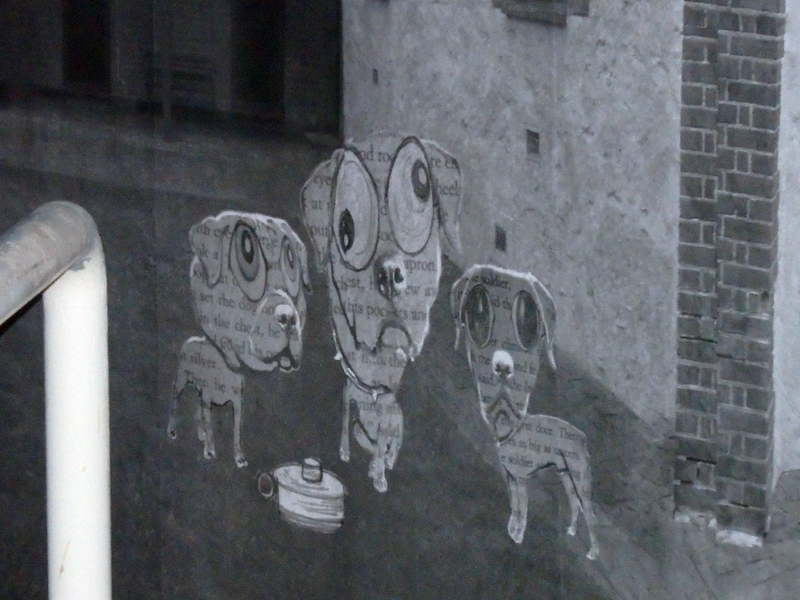 Street art also reflects the integrity of the existing surrounding, and so becomes a part of it. I’ve said previously, I embrace all street art, including tags and sgraffiti, as relevant to the contemporary and historical art scene. Widening our definition of art as existing in the everyday, allows us to think outside the gallery space and work alongside others who have different perspectives, and so makes what we do relevant. 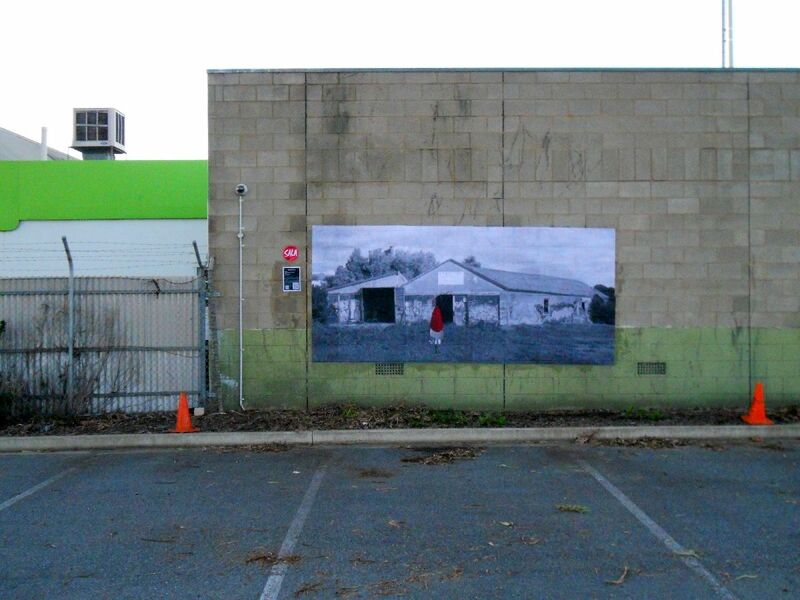 As a footnote: The Art Gallery of South Australia could be inclusive and embrace street art by opening the outside side wall(s) as free walls for any artists to participate. Then we would have a world leading rather than a world class art gallery. 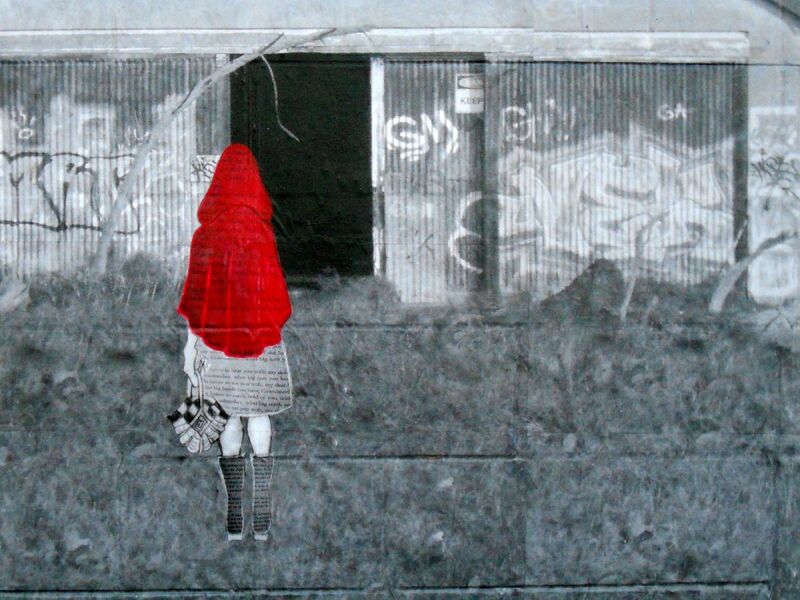 *Street Art as the new wave of painters who only work by permission to paint a wall, street art includes any form in general. As a lover of Street Art, how is it possible to get involved other than physically becoming a part of it, if you know what I mean? 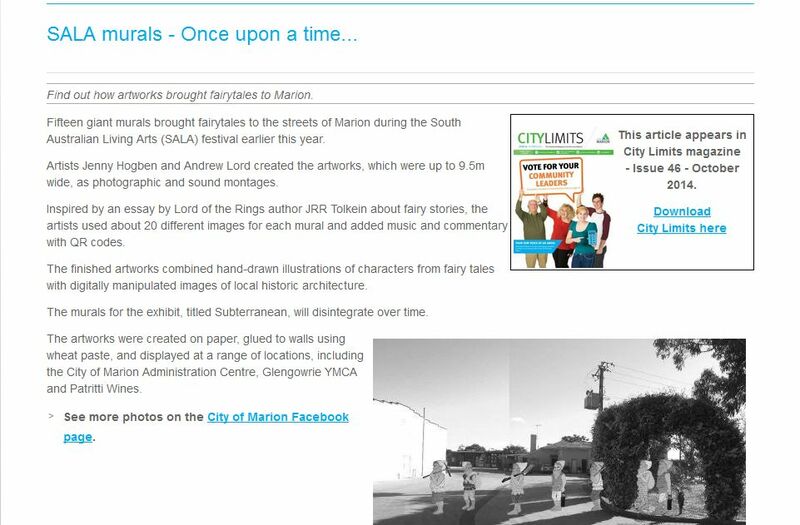 Posted on October 28, 2014 Categories Exhibitions, Living in Adelaide, Street artLeave a comment on Thank you City Limits! Unfortunately the wild weather brought these two down before their time. 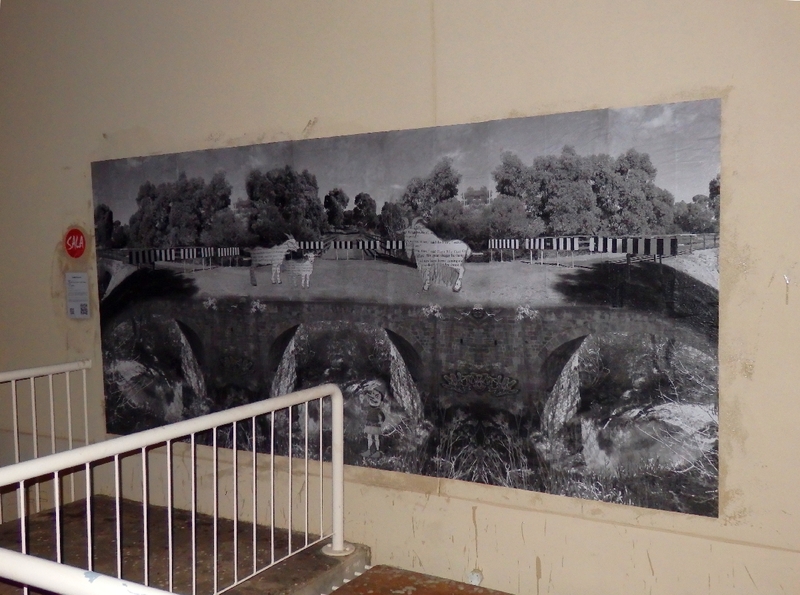 There’s a point at which it is possible to rescue a paste up and one where the opportunity has passed due to the amount of damage. 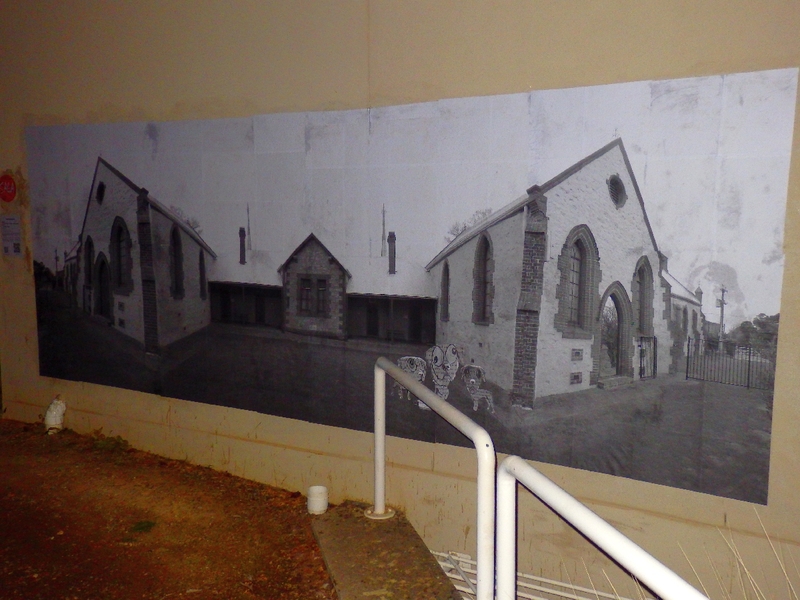 These photographs were taken the night the murals were put up so they are still wet. 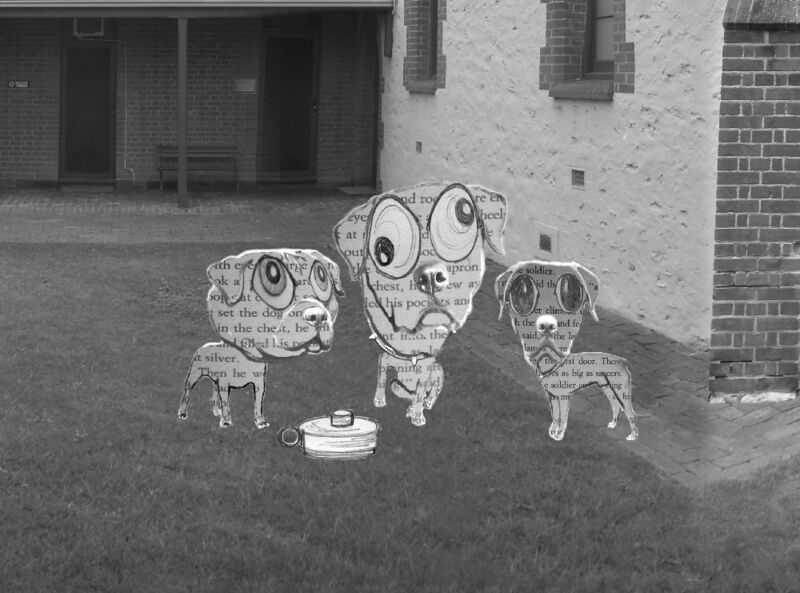 The three dogs from The Tinderbox at Wesleyan Uniting Church, Marion. Accompanying sound track Imperfect Vision by chalkwhitehands. 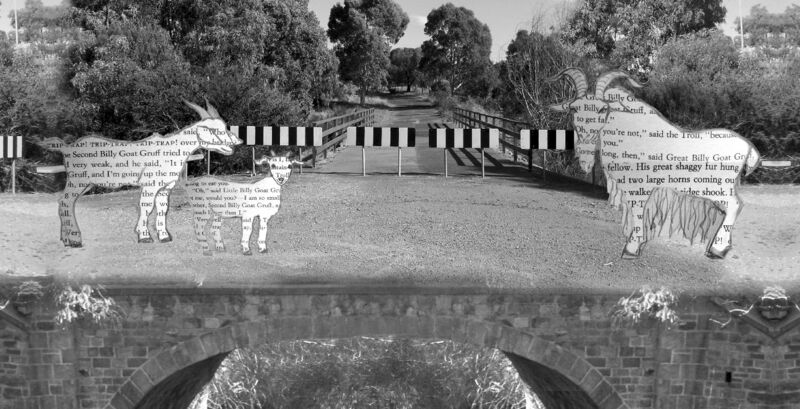 Three Billy Goats Gruff crossing Hallet Bridge near Main South Road, O’Halloran Hill. 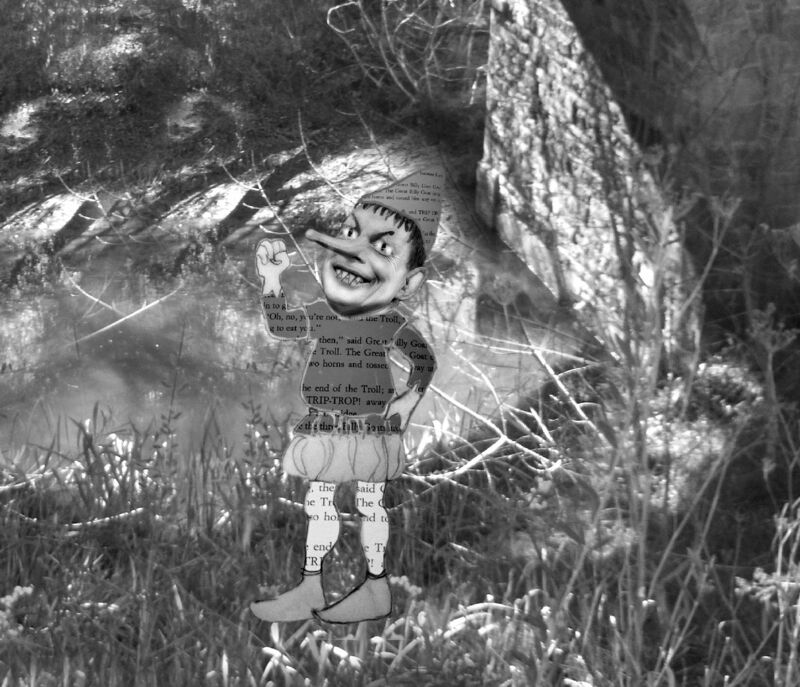 Does the Troll look familiar? Accompanying sound track Transcript of Life by chalkwhitehands. For more information, including a map or tour, of the southern historical landmarks from the exhibition including Hallett Bridge see here.